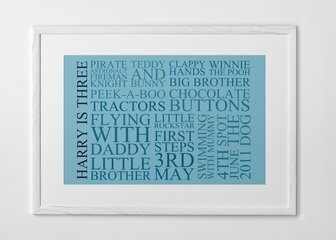 From birth announcements to Christening gifts to simply lovely pieces of personalised art for a child's room, take your pick from our templates below and get creative. 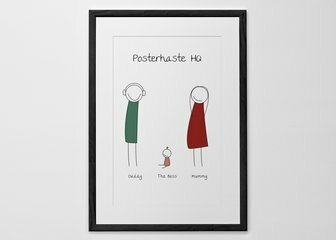 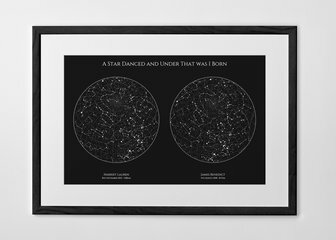 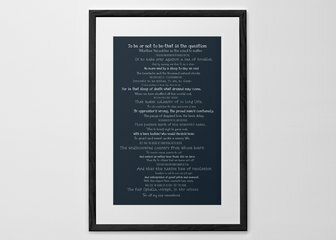 All styles are available as prints, posters, and box canvases, with framing available on all items. 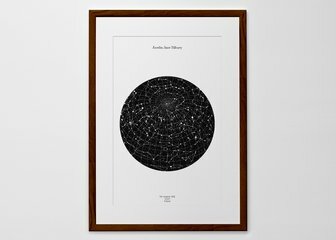 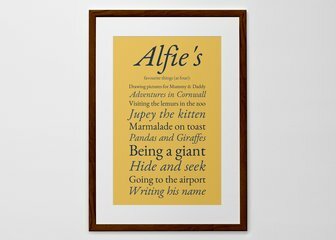 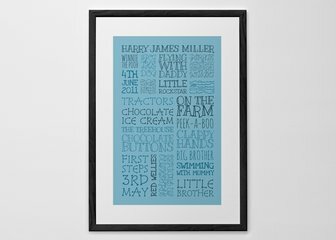 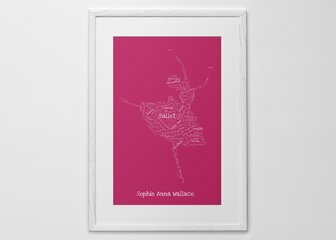 Share your favourite things with the world by creating a personalised print of your likes & loves. 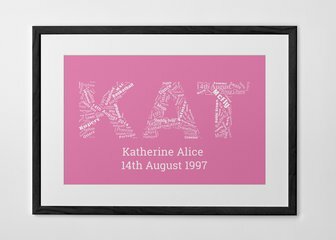 With 9 colour options, create a perfect gift.